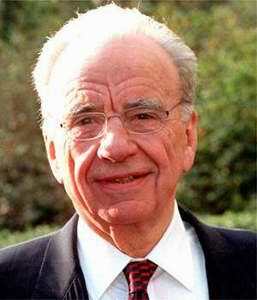 Apparently, enough members of the Bancroft family–which controls sixty-four percent of the voting shares and which had been the main stumbling block to Murdoch’s bid–have agreed to sell. As was reported earlier today, Chief Justice Roberts fell at his summer home in Maine, and was taken to the hospital for examination. What has not been reported until now was that the Chief’s fall was was accompanied by a grand mal seizure. It is unclear whether the seizure was the cause or the effect of the fall, but the Chief did apparently suffer such a seizure thirteen years ago, with its cause still as yet unexplained. Reports are that Chief Roberts will remain in a hospital in Maine overnight for observation. Nice faux bravado, but reality is reality. See how long you can continue to claim to be an elite firm if the candidates you once coveted and wooed head to other shops for the $25k starting advantage. Looks like this raise, and the one’s coming down the pike (rumors of $200k and $250k) are about to separate the men (BigTex) from the boys (MidTex). Good luck Winstead, see you at the merger table. Behind only USC and Ohio State. However, when you take a closer look at the numbers, a dang good argument can be made that UT should be first. Mack (98-28 )has more wins than do Pete Carroll(90-35) or Jim Tressel(97-28), and Mack has a season’s worth of less losses than does Pete Carroll, and the same amount of losses as Jimbo. Moreover, Mack has a better winning percentage both overall (.778) and in bowl games (6-4) than do Petie (.720; 4-3 ) or Tressel (.776; 5-4). According to their website, Jones Day has matched the $160k scale in their Dallas and Houston offices. Peter Lattman over at the Wall Street Journa Law Blog links to a 2003 article by Minnesota lawyer, Larry M. Wertheim, which examines the jurisprudence, if you will, of the Simpsons‘ late, great lawyer, Lionel Hutz. Mr. Hutz, Esq., who has been absent from the show since Phil Hartman’s death in 1998, claimed to have attended Harvard, Yale, MIT, Oxford, the Sorbonne, the Louvre; and he officed out of the Springfield Mall with the firm of I Can’t Believe It’s a Law Firm! Homer: All you can eat–hah! Homer: Do you think I have a case? Hutz: Now, Homer, I don’t use the term “hero” very often. But you are the greatest hero in American history. Hutz: No don’t you worry Mrs. Simpson, I-Uh-oh. We’ve drawn Judge Snyder. Hutz: Well, he’s had it in for me ever since I kinda ran over his dog. Marge: Do you want your son to become Chief Justice of the Supreme Court or a sleazy male stripper? Homer: Can’t he be both, like the late Earl Warren? Marge: Earl Warren wasn’t a stripper! Homer: Now, who’s being naïve? Sen. Arlen Specter, of Senate Judiciary Committee infamy, has apparently pledged to review the “record” of Chief Justice John Roberts and Associate Justice Samuel Alito during their first full term on the Bench, in an attempt to devise whether their nomination testimony supporting the concept of stare decisis has been borne out in practice. Where to begin with this stupidity? Everywhere but Pennsylvania apparently, it goes without saying that it would be entirely improper (and asinine) if SCOTUS nominees could somehow be expected to bind their future votes on issues before the Court by the testimony they give at a nomination hearing, no matter what the topic. How could it not be unconstitutional if the Legislative Branch could control the actions of the Judicial Branch via the nomination mechanism? I really just wish that Sen. Specter would stop pretending to be a great jurist (which he has never been—great, nor a jurist, that is), and instead simply accept the fact that the ones he presumes to “know better” of, operate on an intellectual plane traveling at both higher altitude and greater speed than Specter’s cognitive Cessna.